Nick Cannon Replaces Mariah Carey Tattoo With Jesus Christ: What Does This Change Really Mean? 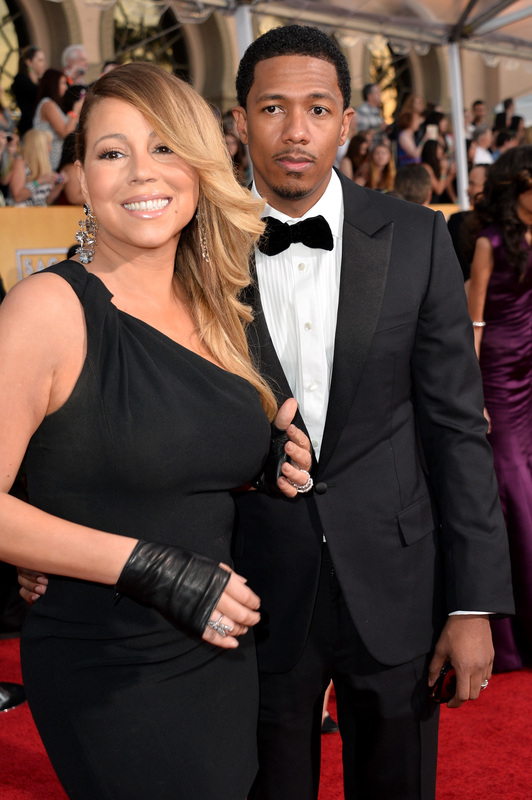 Mariah Carey and Nick Cannon are living apart, something he confirmed in a Twitter rant. It always seemed that the supreme diva Mimi wore the pants (and the shirt and the heels and the everything else) in this relationship. Cannon had a huge Mariah Carey tattoo. He had her name tattooed on his back, etched between his shoulders in massive script. Had, as in past tense. Cannon has covered up the giant Mariah tattoo with an even bigger rendering of Jesus Christ. If you didn't think Mimi and JC aren't one in the same before, well, now you probably do. Cannon, who exceeded 140-characters in his discussion of the state of his marriage, was celebrating his birthday in Hollywood on Thursday (October 2) and for some reason, he removed his shirt. By taking off his top, Cannon showed his replacement ink. The photo is fuzzy, but witnesses that saw the piece say that the tat features JC on the cross, which is adorned with angel wings. No butterflies? Ah, that'd be too Mariah-ish. I am not convinced that Cannon viewed his back as a place to display his faith. Even more telling is the fact that that wild child Amber Rose was there. She and Cannon have been rumored to be a factor in one another's splits; hers from Wiz Khalifa and his from Carey, obvs. Cannon committed the tat cardinal sin of getting a significant other's name in ink, which should've sounded the death knell and have been the harbinger of divorce. But there are pros and cons of this tattoo removal. ...with Amber Rose or whomever. Carey will literally be off his back. It was a ridic tattoo to begin with. It was the ink form of Rocky yelling "Yo Adrian!" Buh-bye. Jesus is more famous than Mimi and will always be his homeboy and will always have his back. Fans can now emotionally prepare themselves for the formal dissolution of the marriage. We have something else to talk about other than his ridic $2 million Tom Ford shoes that he wore to the America's Got Talent finale. Cannon and Carey were a cute couple. This tat cover up probably means it is over. The ink takes up so much real estate he can't get an Amber Rose tattoo if/when they make it official. Tattoos hurt. Tattoo cover ups hurt even more. To go through that much pain, as opposed to leaving the original in tact, speaks volumes. Did he really have to drag Jesus into this? Is Jesus going to be forced to take sides in this mess? Cannon can now pull the JC card when things get ugly. And BTW, the transmogrified tattoo is just as ridic as the Mariah tattoo. It's slightly disappointing that Cannon didn't get a portrait of Dem Babies, the twins he fathered with Mimi.